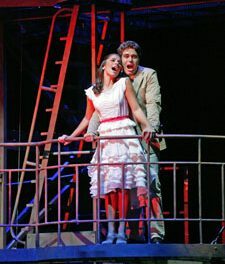 Still, the local rendition of this world famous musical will, in all probabilities, outdo Nicky Kidman and Ewan McGregor on Baz Luhrmann’s stage, even if the performers are not quite as famous. Cabaret, based on the play I Am a Camera, by John van Druten, was made famous in 1967, when it snagged four Tony Awards, and nominated for eleven, and again in 1998, when it was nominated for ten and won four. 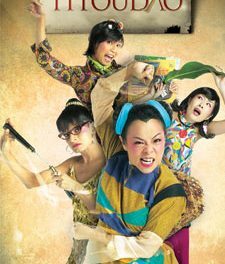 While the cast does have some big shoes to fill, their expert handling under the excellent direction of Ms. Beatrice Chia will certainly help. 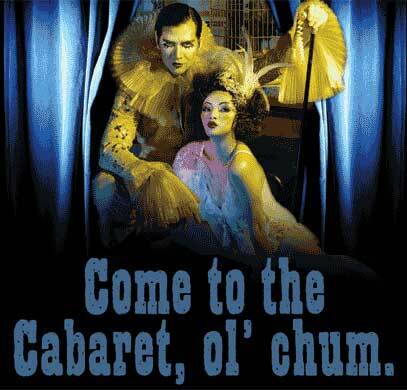 Cabaret is one of the biggest theatre events in Singapore this year, and its third revival throughout the world. Fei Xiang, Taiwanese-American singer, will take the role of Emcee, flamboyant and charismatic, made famous by Neil Harris, and Emma Yong takes the role of American cabaret singer Sally Bowles, who is romanced by two men, a rich German politician, and a poor young Jewish man. The light-hearted tone of this romance is pivoted against the backdrop of Hitler and Germany in the 1930s, where war is brewing in Europe. The ‘Kit-Kat Club’, is where hops rather than war, brew, and people escape to in order to avoid thinking of war. – So “come to the cabaret, old chum”, and watch the drama play itself out. Don’t miss this exciting performance, from July 22nd till the end of the month.